The May edition of the BeeLines newsletter is available online. It includes information about upcoming education events, the State Apiarist’s report, information about the state fair, tips for dealing with small hive beetles and laying workers, an exciting collaboration between an area beekeeper and local students, and much more. 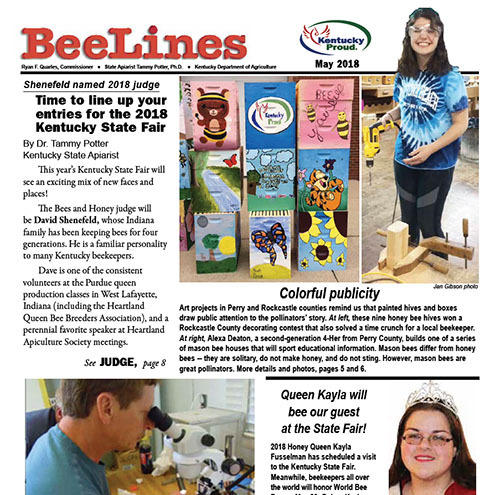 Past BeeLine newsletters can be downloaded from the Kentucky Department of Agriculture’s website (current year only) or from the KSBA Educational Resources for Beekeepers webpage (back to Feb. 2015).